I have moved back to Europe in 2004, now living in Braunschweig, Germany. Quite a change after 3 years in Sausalito California, and Las Palmas de Gran Canaria before that. I am a freelance consultant. Specializing in configuration management, development processes and dataprocessing. Quite by accident (as I normaly don't have access to Dutch newspapers) I came across the Dutch 'Nationale Rekentoets' (National math test) contest organised by the Volkskrant and the HBO-Raad. More of a surprise was to be invited to the finals in Amsterdam on Oktober 2nd, 2006, together with 35 others out of the 5000 people who participated (and some well known dutchman, that I, living abroad had never heard off). I did end just after number 2 (with the same number of errors, but haven taken a minute or so more to finish). The dutch snacks (bitterballen, mini-bamihapjes, frikandel), that are impossible to get a hold of abroad), during the gathering afterwards were well worth the 3 houre drive. I currently refresh my (higher) math skill at the Khan Academy. I'm Senior Associate of the Foresight Institute, an educational institution investigating the changes nanotechnology will bring to this world. I am a PADI Divemaster (DM-90006). Unfortunately time and location limit the possibilities of diving once more. 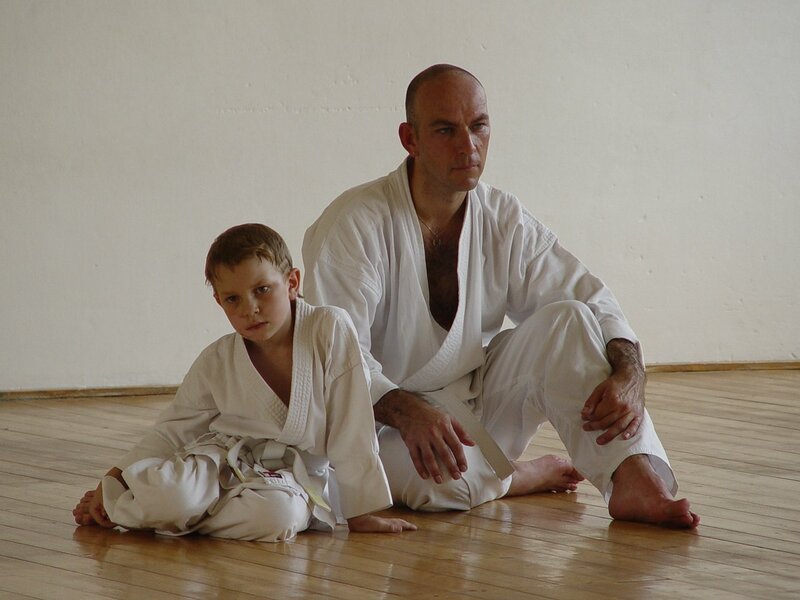 I started to practise Shotokan Karate at the same dojo my son UML (Ulixes Maurits León) had been training. In the summer of 2006 we both trained karate for a week in Borgosessia and we repeated that in 2007. My daughter Rae has started practising karate as well, and she has joined us in Borgosesia in 2008, 2009, 2010 and 2011. In 2010 I also attended the gasshuku in Tamm in prepartion for my shodan exams in 2011 (DJKB & JKA). In 2014 I passed my nidan exam (DJKB & JKA). I previously worked at Pinnacle Systems 2001-2009, often standardising processes and tools where others before me failed to do so. In Las Palmas I used to work for Comunicacion Integral, later called Jaleo Software as VP of Engineering. 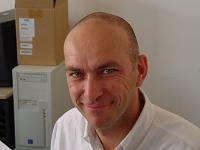 In between I lived in Brussels and worked as a consultant in Zaventem, setting up the European Molecular Nanotechnology Institute. I have also been working for Cinebase Software on Cinebase, at Electrogig on 3DGO; at Modern Medium on Axis and Renderstar; and at the University of Leiden, which is also where I studied mathematics, Japanese and general linguistics. If you are interested in what I have done and what I could do for you, look at my resume. I regularily visit the Unix & Linux StackExchange site, sometimes answering questions (although I tend to use python to solve issues where others use bash/awk/sed) and generally keeping the review queues empty. Friday is the only day of the weekend, that I have to work. Some say men are like children. I don't agree, children still have a chance of growing up. Blik op nul, verstand op oneindig. Not all change is for the better, but anything that did get better must have changed. So, why not make the best of any change. Rants: Since 1984 I have been writing text on computers, starting with View on my Acorn BBC, STedi on the Atari ST, vi and emacs on numerous Unix variations. Some of these text were lost over time, some preserved in archaic formats. I have started editing and collecting these into my Rants and Insights.